London Cat Clinic is a Feline Only Veterinary Clinic, with an emphasis on thoroughness, communication and compassion. We are centrally located at York St and Wortley Rd in London, Ontario and have ample parking. We welcome new patients. 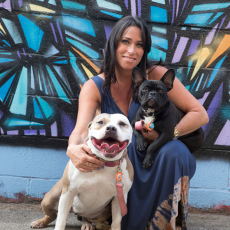 Feel free to drop by and meet the staff and Veterinarian Dr. Sharon Rosenberg! Veterinary Acupuncture *NEW* - click preceeding link for more information. Dr. Rosenberg is Certified in Veterinary Acupuncture with IVAS, the largest International Veterinary Acupuncture association. Our cat hospital also provides ancillary services such as laboratory testing, radiology, chemotherapy, pain management, blood pressure monitoring, and referrals for ultrasound and scoping. We provide life-stage wellness care and recommendations, with an emphasis on both kitten and senior wellness as well as weight and dental management in the middle years. 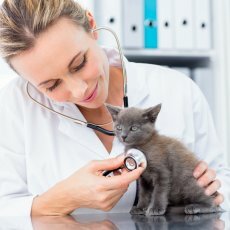 Dr. Rosenberg has over 20 years experience as a Veterinarian, and most of it is exclusively with cats, all in London, ON. London Cat Clinic has helped cats and their families from London, as well as Strathroy, St. Thomas, Dorchester, Aylmer, Thamesford and surrounding areas. We are conveniently located in Old South, very close to the heart of Wortley Village and close to downtown and Old North and on the way home for many people from Byron and Lambeth, and only 15 minutes from Talbot Village. Please feel free to browse the pages and get to know us. We also welcome enquiries by phone, in person or by email and offer visits to see the clinic, meet the staff and tour the boarding areas. Diagnostic and Therapeutic Services: Our hospital is equipped to provide diagnostic and therapeutic services to care for your cat's complete health care needs. We see many advanced cases for second opinion examinations. Surgical Services: Our surgical suite provides for the performance of a wide variety of surgical procedures. Anesthesia: We utilize the safest available anesthetics to provide an extra margin of safety, especially for our older or high-risk patients. Using the most modern equipment, the patient's vital signs are monitored during all anesthetic procedures. We also provide intravenous fluids for all of our procedures exept for the briefest of ones. We offer referrals to an internal medicine specialist who performs endoscopic procedures, cardiac consults, cancer consults or complicated case management. 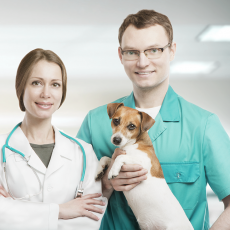 We are also affiliated with Veterinary Information Network or VIN, which attracts progressive primary care Veterinarians as well as specialists in all fields imaginable. 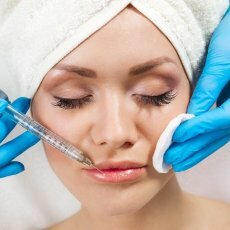 We are able to do consults with them on any more advanced case and this also provides the most up-to-date database for the latest treatment options and scientific studies. We also do consults with specialists at the referral laboratory we use - Idexx. In addition, we do many second opinion examinations ourselves, being a cat-focused clinic. Radiology Services: Our on-site X-ray equipment provides high quality radiographs to aid in the quick diagnosis of many disorders. Routine referrals to a board-certified Ultrasonographer in London, for an Echocardiography exam of the heart and we get a written assessment from a cardiologist. New ProBNP blood screen for assessment of the heart muscle "stress" - gives good indication of severity of disease and likelihood of being clinically relevant. Dentistry: Our advanced dental services include a complete oral health examination under anesthesia with full charting, cleaning, polishing, periodontal treatment, dental X-rays, tooth extractions, some oral surgery, fracture repairs and diagnostic biopsies. Laboratory: Our in-house laboratory facilities provide for stat chemistry testing, as well as complete urinalysis with culture and parasite testing. 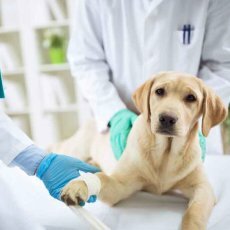 We also fully utilize commercial veterinary laboratories for both routine and specialized diagnostics and consultations. We chose to do most of our blood diagnostics at a referral laboratory for quality control, better value for our clients and better test options. Turnaround time for the results is remarkably fast, with most tests available the next day, even if sent out at 6 pm. We do in-house urine testing as this is best done ASAP and our technicians are highly experienced at running them. Permanent identification: Microchip implantation is offered at our clinic. This can be done in a routine outpatient appointment for most cats and includes a short-acting mild pain medication injection. The implantation is very fast and now involves an even smaller chip and needle. 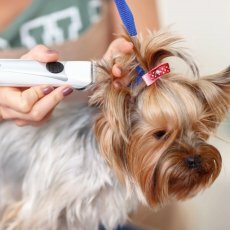 It is ideal to consider microchipping with any anesthetic for the "no sting" option. We highly recommend having such permanent identification for your cat as well as a visible collar with ID. Pharmacy: We maintain an extensive inventory of pharmaceuticals, supplements, toys, Chinese and Western herbal remedies, flea control products and heartworm preventatives to meet the needs of your cat. We also carry a full line of prescription diets as well as life stage diets. Individualized Flea Control Programs:We develop programs for the specific needs of your pet and your own particular environmental situation. We will review with you the best ways to control fleas in your house, in your yard and on your cat. Strategic Deworming Programs: We develop deworming programs that help protect both you and your pet. 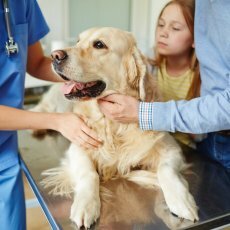 It is now recommended to deworm your pets on a regular basis, whether indoors or out, as they can get roundworms from eating flies and tapeworms from eating fleas, even if they don't hunt. Some parasites are contagious to you as well and CAPC parasite control guidelines now recommends cat deworming as protection for pet owners. 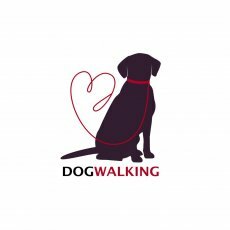 Dietary Counselling: We will provide guidance regarding your pet's nutritional needs for each life stage, including dietary requirements for growth, weight maintenance, weight loss and specific diseases (for example - diabetes, kidney disease, arthritis). Supplements may also play a role in aiding recovery from illness or prevention of progression, and this is covered extensively in the routine or followup appointments. Behavioural Counselling: We provide basic advice regarding the prevention of problems such as spraying, scratching furniture, play biting and night-time vocalizing in our routine annual appointments. We also offer complete behaviour counselling for more exensive and well developed problems such as spraying, housesoiling and inter-cat aggression. Ultrasound Examinations: We work closely with a board-certified Radiologist in London, who provides comprehensive ultrasound exams. We can also refer to the Ontario Veterinary College or specialist centers near Toronto if needed. In addition to the above services, we offer a closely supervised hospitalization area, an isolation area and comfortable cages for hospitalized cats that include a separate sleeping/eating and litter-box area with comfy fleeces for bedding. Our waiting room is cat-exclusive (no pesky dogs) and we have a raised "cat-waiting" area in the reception. We also aim to get cats into the exam room quicky, so they don't have to watch other cats arrive and they can acclimatize to being in the clinic before their appointment. We have 2 examination rooms to accomodate the incoming cat as well as to allow our technicians to go over any discharge instructions or medication instructions on discharge, without being in the busy reception area. Cats are such unique animals with the innate ability to mask disease symptoms so that they are not perceived as "sick" or "weak" by those animals who consider them prey in their wild state. This is a great life-saving feature for a wild animal, but not so good when trying to live an optimal life as a pet. Hiding diseases means it is more difficult for even the very attentive cat parent to recognize when things are amiss. We offer emergency and critical care medicalservices for our clients during our working hours. We may be able to provide care for those not currently clients but it would be on an as-available basis - please call if you have need and we will help if we can. 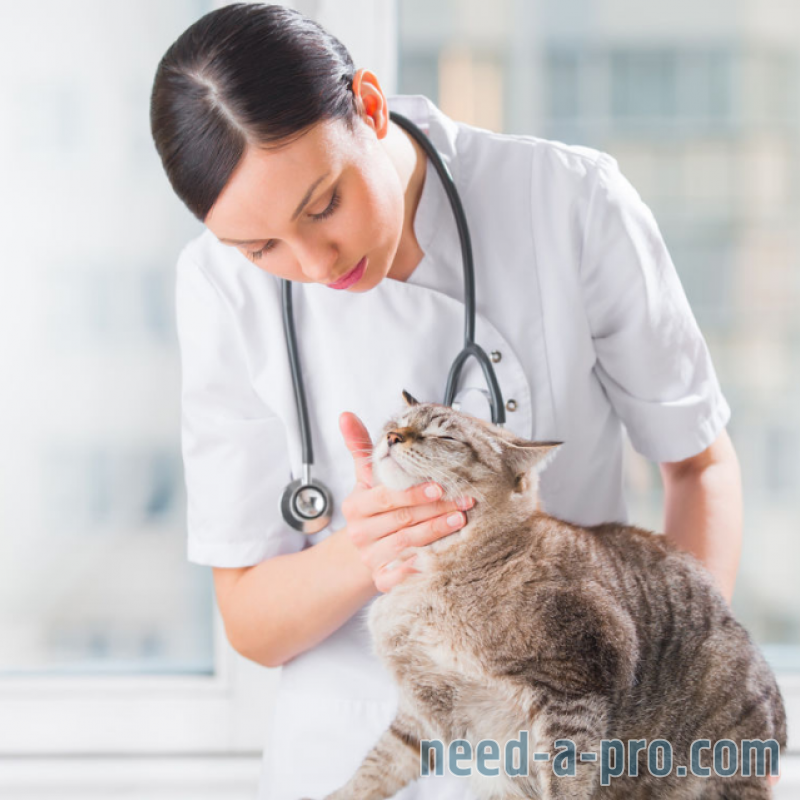 We also offer some emergency surgeries, but dependent on the condition, we may elect to stabilize your cat and refer them to another facility. Emergency dental procedures will try to be handled here and we always try to see male cats with urinary obstructions as soon as possible and offer emergency surgery if needed, including bladder drainage (cystocentesis) and perineal urethrostomy "PU" surgeries. Car accidents and fractures are also seen as soon as possible and we will splint and stabilize your cat, but may refer to a surgeon for pins and plates if needed. A large part of what we do is managing diseases that are chronic in nature - kidney disease, liver disease, thyroid disease, inflammatory bowel disease, chronic urinary problems, heart disease and cancer. Since we only see cats at our practice, our enitre experience is based on how cats show disease, what diseases cats are likely to get, and how best to medicate and treat cats. We will help you along the way with dietary suggestions, conventional medicines and alternative therapies and supplements, tailored to you and your cat's personal preferences. We offer cancer treatment, including a discussion of prognosis, treatment options, pain and nausea management, chemotherapy and referral if other treatments are warranted. Surgery is also available here for some cancers, while others may be referred. strive to detect subtle changes which may indicate the development of chronic diseases or nutritional deficiencies, which may be easer to remedy in the early stages. An example is B12 deficiency (which is very common in older cats and those with gastrointestinal disease). 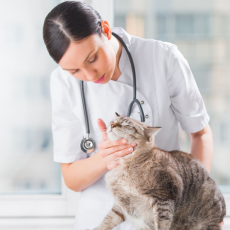 discuss preventive medicine including weight management, nutrition, dietary supplements which you can start introducing to your cat to delay the onset of disease while they are still healthy. blood work to look at liver, kidneys, pancreas, protein levels, thyroid function, anemia/bone marrow and even heart. other tests such as xrays, ultrasounds, etc. c) what the cat will allow! 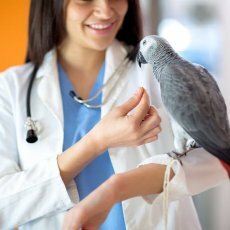 2 to 3 comprehensive examinations and consultations to discuss preventive health care, preventive behavioural modification, diet options, nail trimming, teeth brushing, medicating "training", etc. Feline Leukemia Virus, Feline AIDS and Heartworm blood testing. Pleasecontact usto arrange a Wellness check up or if you have a case requiring medical management or surgery. We can decide together what, if any, further testing is needed after the history and exam. Periodontal disease - advanced gum and bone disease surrounding teeth leading to tooth loss, infections and pain. which progress slowly over weeks to years, resulting in ongoing pain and tooth loss and sometimes infections and drainage holes. The cause of these lesions, especially the more common "quiet" ones, is not known. The prevalence in cats, however, is great, with numbers estimated to be up to 40% or even 70% of cats having at least one. There is no prevention, only treatment once they have started, which consists of removal of some or all of the tooth/root in order toprevent the associated pain and the ongoing inflammation. Stomatitis - a very painful disease of the mouth tissues, often starting around the gums but extending to the inside of the lips, the roof of the mouth and often the back of the throat and even the tongue. There can be multiple causes and often a specific cause is never found. Treatment can be difficult and often involves a combination of medical and surgical therapies. Tooth Root Abscesses- broken teeth can become infected at the root tip, leading to an abscess. The infection occurs deep in the bone where the root tip ends and can cause local swelling of the face or jaw or a draining tract (a non-healing wound) which may just look innocently like a pimple on the chin but really be just the "tip of the iceberg". Severe bone destruction can occur, often with no tell-tale signs until suddenly a large abscess can burst out on the face. These truly are serious diseases but in the early stage they can be invisible and often even seem non-painful, as cats hide pain well, especially oral pain. Thus, any broken tooth in a cat needs to be extracted or have a root canal performed. Scroll down for a case example. Mouth Cancer - often very aggressive and best treated when very early.